When babies wear diapers then diaper rash is just about inevitable. However there are some options to keep baby happy, healthy and dry. One of the most common ways to help prevent diaper rash is to switch to cloth diapers. Cloth diapers are more breathable than disposable diapers, letting air in to keep baby’s bum nice and dry. However cloth diapers are also less absorbent and have to be hand cleaned, which some see as a disgusting option. Cloth diapers also need to be washed carefully to make sure they are clean and yet still retain the softness that baby needs. This can mean washing it once with bleach and then again with a fragrance free detergent. Natural fabric softeners like baking soda or white vinegar added to the wash water are also great ways to help keep baby happy. If you do not want to make the switch to cloth diapers, or even if you do, you still need to change baby often. Even if the diaper has not been used it can still absorb sweat and chafe baby’s bottom. Make it a rule to change the baby at least every couple of hours even if the diaper is not dirty. After all, how often does that happen, right? You should also wipe baby’s bottom with a damp wash cloth or wipe to remove any accumulated liquids or particles. Sometimes a thread or clump of cotton can get wedged uncomfortably and cause pain and itching. It is a good idea to let baby go diaper free for at least a few minutes every day. 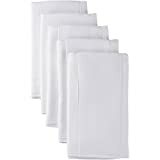 This allows the skin to air out and dry naturally. Usually this is best to do just after a diaper change or even outdoors if it is warm enough. Some children can even be potty trained early to some extent and can change into regular underwear for short periods of time. This depends on your child, of course, and not all children get control over their bladder and bowls at an early age. If you do not want to switch to cloth diapers because you love the convenience of a throw away but you do want something a little easier on baby’s bottom then try natural diapers. Made of natural ingredients like cotton, natural diapers breathe better than plastic and are also almost as absorbent. They are also disposable and degrade much easier so are therefore better for the environment then regular disposable diapers. They can cost a little more, but by buying in bulk you can get good deals. They are also usually free from any dyes or scents which is important for some babies. Keep in mind that things like plastic and latex cause skin allergies that may mimic diaper rash. One great way to cut down on diaper rash is to make sure you are getting the right sized diaper for your baby. The age guidelines on the package works well for many children, but some kids are bigger or smaller than others their age. You might need to try a variety of sizes to see which one fits baby best. The brands vary as well. While Pampers may be one size, the same size in Huggies may fit baby very differently. Find a brand and size that works for your child. Make sure the shape is right too. Some diapers are made for laying, some for crawling and some for walking. Whatever stage your baby is in make sure the diaper fits. The leg holes are often shaped differently and that can affect how well the diaper breathes and even how much it can hold. After changing the baby’s diaper you should keep two things in mind: clean and dry. Clean the baby thoroughly after each change. Even if you do not see anything there can still be irritations and liquids on the skin that can lead to diaper rash. Use a wipe or damp wash cloth every time you change the baby. After you clean up, use a dry cloth to make sure all the liquid is gone. You can then add any powders or ointments to help further alleviate symptoms. Speaking of ointments, protectant creams, lotions and ointments come in a variety of styles and uses. 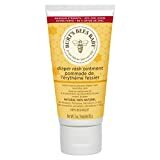 From the very basic to more heavily medicated and even prescribed varieties there are all sorts of baby diaper rash treatments. Try a few and see which one works for your child. Never use adult mediations on a baby as their systems are much more sensitive than an adult’s and they can have a negative effect. Lotion is the thinnest type, good for mild protection and large areas. Creams are thicker and usually white and are good for medium protection and medium areas. Ointments are usually transparent and very thick. They are best suited for small areas but provide a lot of protection. 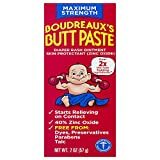 Powders help with diaper rash by keeping baby’s bottom dry. There are simple powders like baby powder and talcum powder, or more complex ones with included medication. Again, never use adult powders on babies. Powders can be used in combination with creams and lotions as long as the powder goes on last. It can be a very effective diaper rash prevention if used with every diaper change. However some babies find powder irritating and powder should not be used with babies that have lung problems. Part of being clean and dry is regular baths. Babies should not be bathed every day or it can dry out their skin too much, but regular baths help to prevent and treat diaper rash. Sometimes getting the whole baby clean is the only way to make sure you have gotten everything off. This is especially true when they get up and moving. Baby poop seems to get everywhere! Use a soothing and mild soap on the rash area and keep the water on the cool side to avoid irritating the area further. Do not scrub the skin but rinse it well. Sometimes diaper rash is not diaper rash at all. Many children have skin allergies as babies and this allergy can be mistaken for diaper rash. If you changed diaper brands or types or changed your soaps or lotions when the diaper rash appeared you may want to think about allergies. Even foods and scents can be a trigger for some baby’s allergies and rashes. If the diaper rash seems to correspond with exposure to certain things then you may have allergies on your hands. Many children grow out of these reactions, so just try to avoid the trigger substances for now. Treating and preventing diaper rash does not mean you have to go to drastic measure. All it really takes is common sense and keeping baby clean and dry. If the rash is very bad or spreading please see your pediatrician right away as it can be a sign of a more serious condition. Previous Article How Childproof is Your Home? Ken Myers is the founder & contributor for longhornleads.com. He frequently researches and writes about a variety of topics like education, Technology, Health and many more. He welcomes your comments.